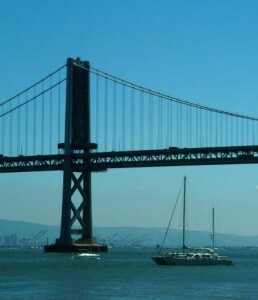 News: The San Francisco Bay Bridge is going to be closed on Labor Day Weekend. Think twice before coming to the Bay Area that weekend. I plan to stay home and avoid the freeways. The bridge will be closed from Thursday, September 3, 2009 at 8pm until 5am on Tuesday, September 8, 2009. You can follow the Bay Bridge on Twitter for up to date information. I love Twitter!